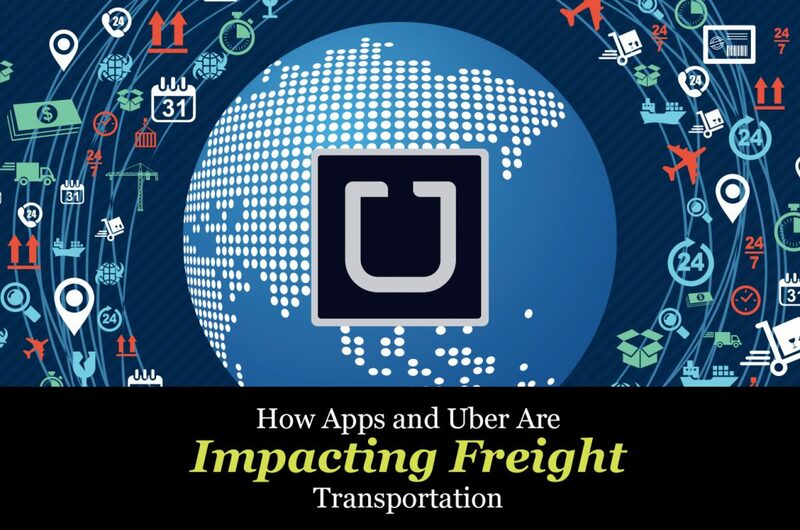 Technological advancements are undoubtedly impacting the transportation industry. Let’s take the rise of Uber as an example. If you are unfamiliar with Uber, it’s used as an alternate to taxi services. People download the app on their smartphones and plug in their desired location. Using technology, Uber connects them with a private driver who is nearby, and the payment is automatically deducted from the user’s bank account. Uber is a popular method for people to get from point A to B because users like its convenience and competitive pricing. However, it’s also controversial. Critics point to their “surge pricing periods,” in which Uber charges more for busier times. Detractors also highlight safety and insurance issues. Pretty much anyone with a license can sign up to be an Uber driver as long as they pass a background check. Taxi drivers are also licensed to do so, while Uber drivers are not. So Is This The Future of Freight Transportation? While Uber is used for individuals, this concept has bigger implications for larger scale freight transportation. For example, some organizations have developed or are planning to develop similar-type apps for trucking. Convoy is based out of Washington and bills itself as the Uber version for trucking. They use their technology to connect shippers with local carriers. According to an article in The Verge, “Convoy gives pre-approved carriers the option to accept or decline a job based on the listed price, which eliminates haggling — a hallmark of the trucking business.” New York-based Transfix serves as an online marketplace for freight. So are apps and technology like this the future of the industry? Some people are arguing that the “uber-ization” of the trucking industry is a good thing. According to the American Trucking Association (ATA), trucking is valued as an $800 billion industry, and more than 3 million trucks trek out more than 100 billion miles annually. While there may be some room in the industry for these apps, there are major liabilities that come with this approach. When it comes to your shipments, there are more factors to consider than just price and location. Shippers must evaluate any potential damages to their brand and the importance of customer service in the event of any issues. For example, you would have to assume the potential risk or damage from a drive that you have never used, but based on an app. For many of these new apps, carriers can sign up as long as they have basic qualifications such as insurance. However, many of them often overlook important aspects such as a driver’s history backed up by reliable data. Do you really want to get into a legal or branding quagmire in the event of an accident? STC Logistics specializes in expedited freight logistics solutions. We are one of the top trusted logistics companies in NJ. To learn more about our services, click the button below! The freight forwarding industry must deliver quality services at narrow profit margins. A large part of this requires companies to choose the most cutting-edge and updated technology and software to ensure operations are as streamlined as possible. Click here to find out the 10 questions you should ask when selecting the best freight forwarding software for your business. Whether you run a new or established business, you know how important it is to have your goods carefully prepared, shipped and arrive at their destination on time. Failure to do so can have a negative impact on your customers—and even more so on your business—when issues like delivery delays, damaged items and cost overruns. Your reputation suffers and you can lose out on revenue, resulting in a black eye to your bottom line. 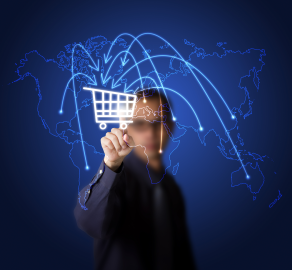 How do you choose the right 3PL provider for you? You can shop around for a logistics solution and review all of your options or quickly choose a 3PL provider and simply live with your choice, hoping your goods don’t get damaged by trial and error. Rather than take a chance with just any 3PL provider, STC makes available a new technology for all of our clients. Electronic Logistics Format, also known as E.L.F., manages the logistics, shipping, and tracking of your freight, alongside our logistics team and allows for visibility and flexibility. This tool is a proprietary services logistics technology that supports traffic managers or anyone who handles major regional or nationwide distributions, pickup assembly services, and multi-location rollouts. E.L.F. logistics technology helps you accomplish a number of tasks. First of all, this service coordinates every stage of your shipping order. You would send our logistics experts at STC a spreadsheet that contains your shipment’s information; we can receive information by EDI, Excel or any format you prefer to use. STC will then develop a customized rollout or a multi-destination distribution blueprint. From there, STC Logistics uses the E.L.F. logistics technology to plan, organize, and arrange for the final delivery of your cargo. The shipment’s progress is also tracked and traced through its numerous steps, in conjunction with our expert customer service team; we will never lose sight of your goods. Before your freight goes into transit, you will review and approve the logistics plan, pickup and delivery specifications, your pricing estimates, and the shipment’s delivery date. Everything is sorted out well before your shipment’s pickup is made. Preplanning is a key factor for a successful logistics design. After your shipment’s order is approved, STC’s IT department publishes your E.L.F. logistics technology design to a web-based viewing area. This is your very own “mini-website” for the distribution project. Your web portal is linked directly to STC’s internal operating system and is updated in real-time. 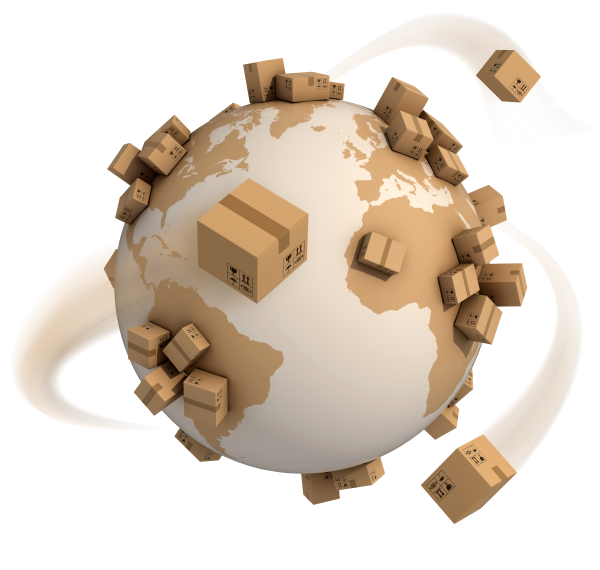 You’ll be able to see the status of any of your shipments as they happen and delivery POD’s as they arrive. 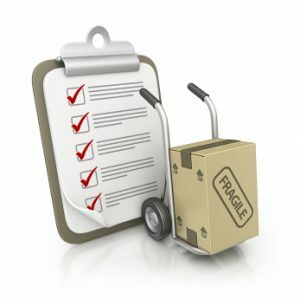 Any relevant parties you choose will be granted access to the “mini-website” and allow them to follow the status of your shipment. This way, everyone who you’ve appointed will see that the shipment is picked up, shipped, and arrived on time to the correct recipient. Eliminates the confusion experienced when random shippers pick up and deliver your items. Using STC Logistics as an extension of your team keeps everything under one roof. Improves pick up times, length time in transit, and the actual delivery date and time by providing a schedule in advance. Reliable nationwide affiliates allow for consolidation of goods, TSA certified access to all airports and strong networks to meet your deadlines. We are all linked together through the system. You receive an entirely coordinated effort from the team to ensure that your shipment arrives safely, undamaged, and on time. Adjustments are easily made and updates are in real-time. STC Logistics uses the very latest in advanced technology with its specialized Electronic Logistics Format logistics technology. 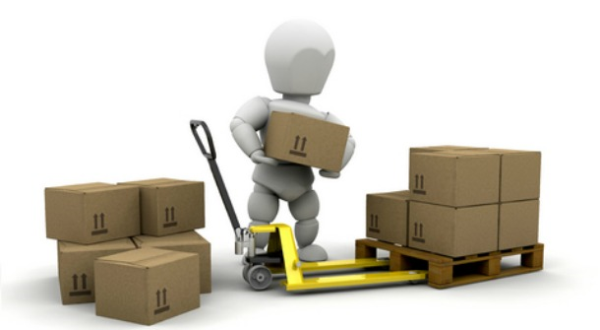 For more information or to obtain a quote for your next shipment, contact us 24/7 at 800-547-4324. To learn more about the industries we specialize in, click the button below. Information is key in maintaining a smooth logistics chain. The more information every individual supplier and manufacturer in a given supply chain has access to regarding the status of materials, the more effectively and efficiently those individual companies can manage their own part of that chain. In our modern era, quality logistics and shipment tracking software is a key part of any track and trace logistics solution, and utilization of the superior software to superior effect often marks key differences between two logistics companies. Data Collection: How much information does the shipment tracking software collect at each data point? How accurately and easily does it do so? Using software that allows you to quickly access requested information tremendously speeds up the logistics process. 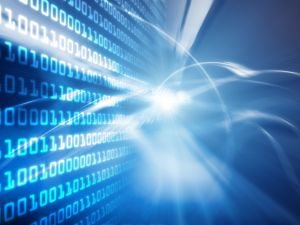 Data Assessment: While raw data has its value, smarter shipment tracking software offers more in the way of analytics. Can the software give you full analytics on any possible damage rate or accurate delivery times and updates? Integration: Good software ‘plays well with others’. The information produced should be readily available to share across programs or between suppliers, manufacturers, and transporters on the supply chain. Will the software improve supply chain speed? Will it improve supply chain reliability? Will it create a leaner supply chain? With those goals and the above factors in mind, it becomes simple to decide which software program to use on a regular basis. STC Logistics uses the most advanced track and trace shipment tracking software on the market to support its clientele. Under the guidance of logistics experts across the nation and using a massive network of transportation affiliates in hubs across the nation, STC Logistics maintains a 99% on-time delivery rate—better than any of the major shipping companies. Whether your chain needs air, rail, sea, or road travel with large shipments to distributed locations or small shipments to a single location, STC Logistics can provide unmatched precision and reliability. Contact us today for a service quote! There are many things to consider when hiring a third party logistics company today. While the basics involve utilizing air, land, or sea transportation to move goods from one point to another, there are many intricacies that are added to the process in order to increase efficiency—both for the customer and the logistics company itself. With shifting trends and the notion of new logistics technologies being ever present, there are many concepts that are improving the way freight gets moved. Overall, the most revolutionary changes that are happening in logistics technologies today are widely due to advances in mobile logistics technologies. In the past, there were only primitive ruggedized devices that were specifically put into use for supply chain environments. Now, the lines between consumer and commercial grade equipment are becoming blurred because of new logistics technologies. This provides customers, as well as professionals, with crucial solutions to improve processes in every step of the supply chain. Another warehouse trend that cloud-based logistics technologies have set is the use of complete mobile solutions. Because logistics technologies have spider-webbed into so many devices, warehouse teams can now use smart phones and tablets in combination with mobile printers. These scanning devices enable the warehouse workers to reduce the need to move back and forth to different stations in the warehouse. 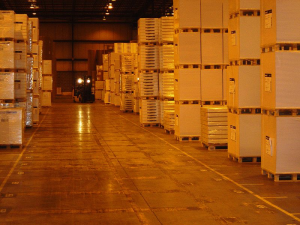 This eliminates issues with sorting, segregating, picking and packing, setting up RFID solutions, scanning barcodes and printing. Tracking has always been a huge issue for customers until recently because there was little information available without making hard inquiries by phone. But now, trucks, trains, ships, and planes can be outfitted with GPS trackers that the customer can dial into from their smart phone to see exactly where their freight is. This allows them to not only satisfy their curiosity, but plan accordingly based on suggested arrival times. Utilizing the same type of logistics technologies, truck drivers can now perform many functions with far greater efficiency. Smart phones allow drivers to accurately capture customer signatures upon delivery, track their hours, and even examine statistics about their driving performance. GPS systems can also provide real time data about traffic situations so that they know about areas that should be avoided to achieve shorter transit times. The smart phone based logistics technologies available today are completely changing the way that everyone thinks about logistics. It is even paving the way for other advances in the future such as 3D printing and greater use of green solutions. For now, 3PLs and customers alike can enjoy the way that mobile logistics technologies has helped to improve the process overall. STC Logistics utilizes the latest in technology for all logistics solutions. Contact us today to get a quote for your next shipment! While logistics is a most crucial matter to companies in any industry, getting pharmaceutical logistics solutions right can be a matter of life and death, depending on the situation. Hospitals, primary care physicians, urgent care facilities, pharmacies, and a number of other establishments need to have medicines readily available in order to care for their patients; sometimes for life threatening situations. Fortunately, the top pharmaceutical logistics companies have specific services tailored to the unique demands of this industry. By offering such a broad range of shipping services, the most elite pharmaceutical logistics companies can help customers with even the most specific needs. This allows their patients to receive the medicine they will ultimately need for recovery. Even under strained circumstances, there are always pharmaceutical logistics choices that top providers can decide on to ease stress of those who need the product the most. Pharmaceutical logistics companies are aware that there are not just lives, but a tremendous amount of money at stake with each shipment. 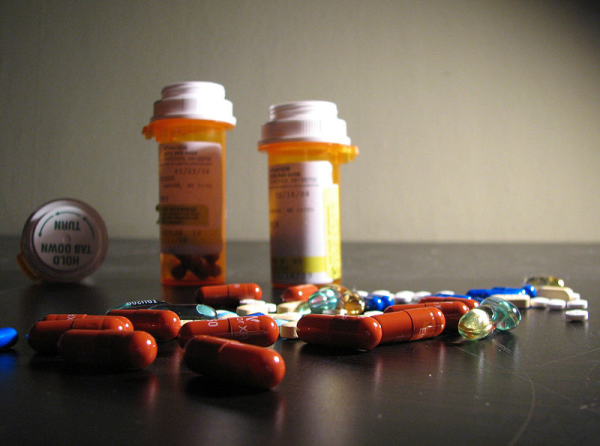 One false move can cause a shipment of medicine to break, expire or end up lost and can result in a loss of tens or hundreds of thousands or even millions of dollars. This is why the nature of the pharmaceutical logistics solutions that specialized companies offer is so vast. When handling incredibly sensitive materials, there is nothing more important than facilitating an air of truth between customer and pharmaceutical logistics providers. While the act of trust may begin with promises, it always ends in the deeds of both parties involved in each transaction. This is why top pharmaceutical logistics companies go above and beyond the call of duty to ensure long and lasting relationships. Successful logistics companies dealing with the pharmaceutical industry pride themselves on building a series of connections with lifelong customers who trust many of the lives of their patients to the overall performance of the logistics company itself. STC Logistics strives to continue to be a trusted partner for pharmaceutical logistics solutions, including air shipping and ground shipping. Contact us today to learn about all of the logistics solutions that we can provide for your pharmaceutical shipping needs.